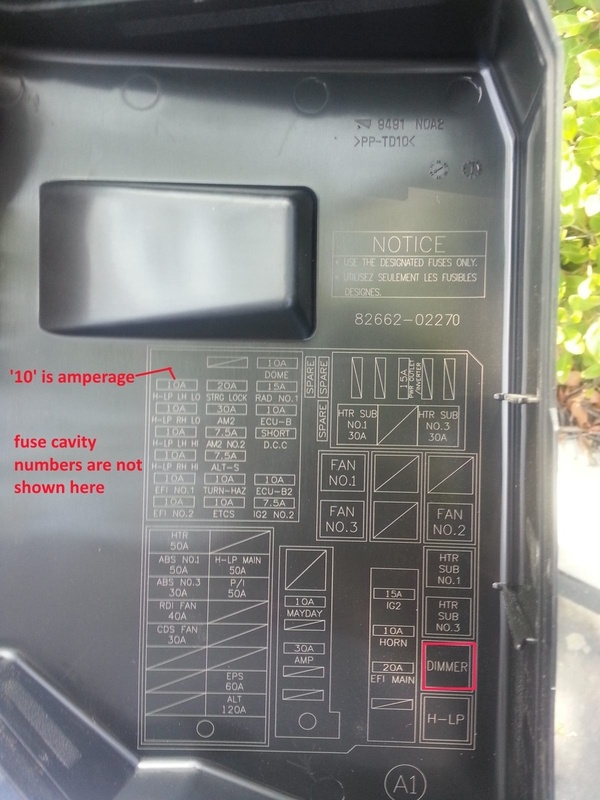 lights stopped working at night..It wasnt working all togather so i changed the fuse "#10"
which fuse should I change? 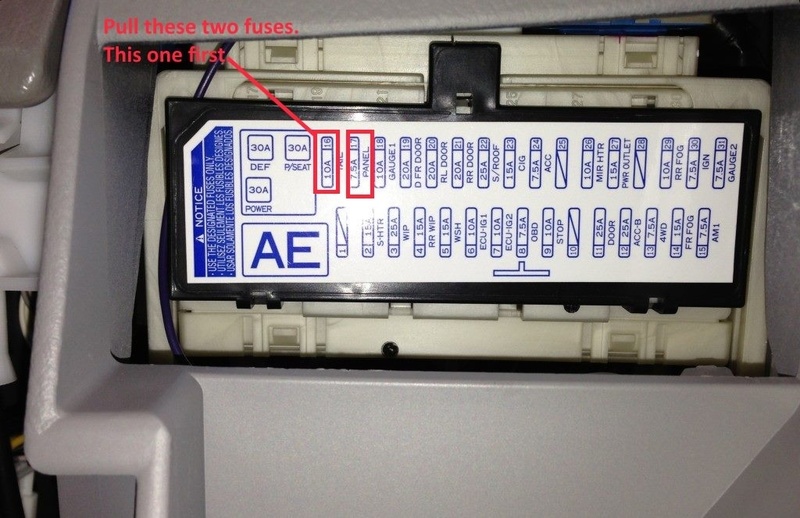 I have attached fuse box picture for kind reference. I can copy text from it but not images because it's a pdf file. But may I ask: does it make any difference if you have the headlights turned on manually at the multi-function switch, on the stalk, or you use the auto dusk-sensing setting? please kindly look at this picture. does this help? Hi Ford, first of all thank you so much for helping me on this. i am not sure what auto dusk-sensing means but i havent touched any setting from day one. i just turn on more or less with day light or at night. 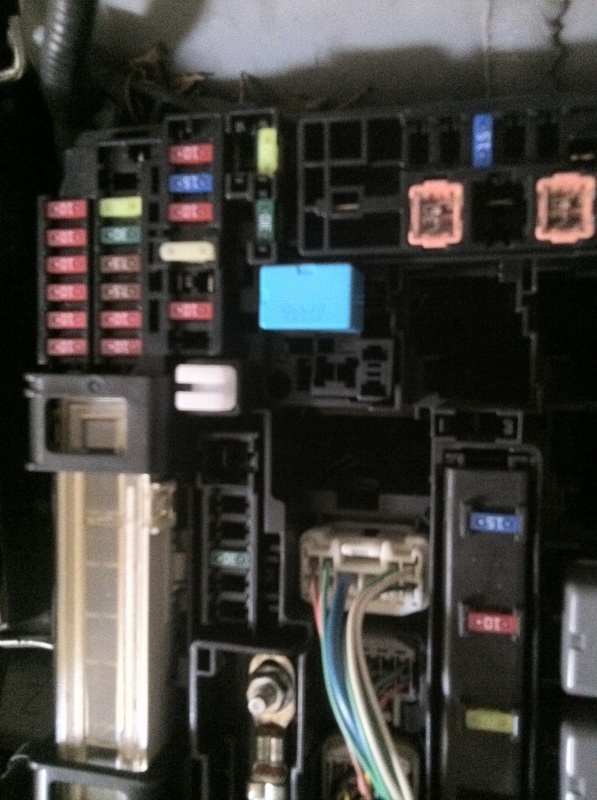 this is the first time i know that there is a fuse box inside the car who does all these. my knowledge about car is zero. i read manual but doesnt help much. Actually, no, sorry, I need the map on cover (if it has one) like your other. FordNut was not my first choice. I tried CorollaNut but was taken. Corollas are my specialty. Anyway, auto-dusk sensing is the automatic headlights that come on automatically. Now Toyota has done some cost-cutting, in the 10th Generation beginning in 2009. Do you have an 'eye' about the size of a quarter, a lens on the dash, drivers side, near windshield? but inside the fuse box which one shold i change? you mean inside the hood fuse box? That is not a Corolla, but a Rav4, a Corolla crossover. 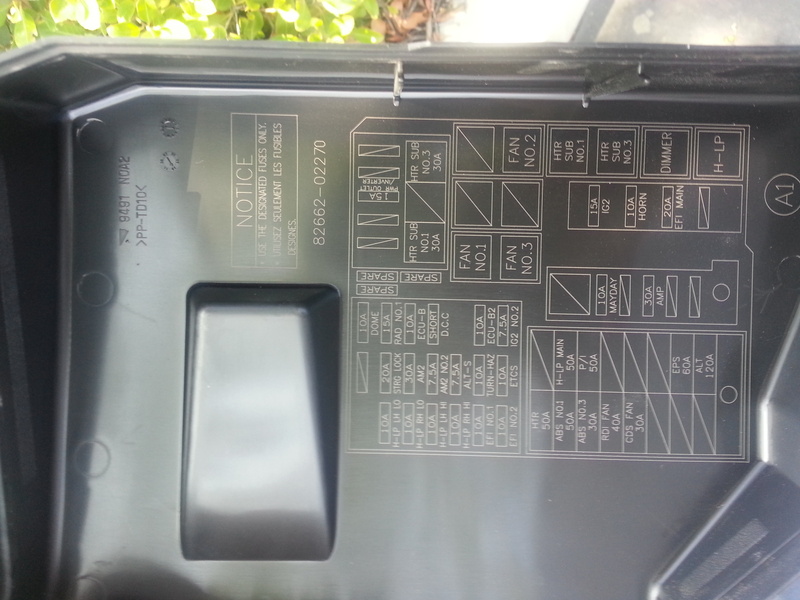 Not identical but nearly....close enough to show you where the fuses are. It's not easy to access. No. Forget about under hood. Those are maxi-fuses. Got it now. i tried. but i coudln't get in. its almost impossible .its so deep inside . Yes it is. Like Toyota expects fuses to never blow, one of the very few design flaws on a superior engineered car. Or it it they want to force you to dealer to get in your wallet? 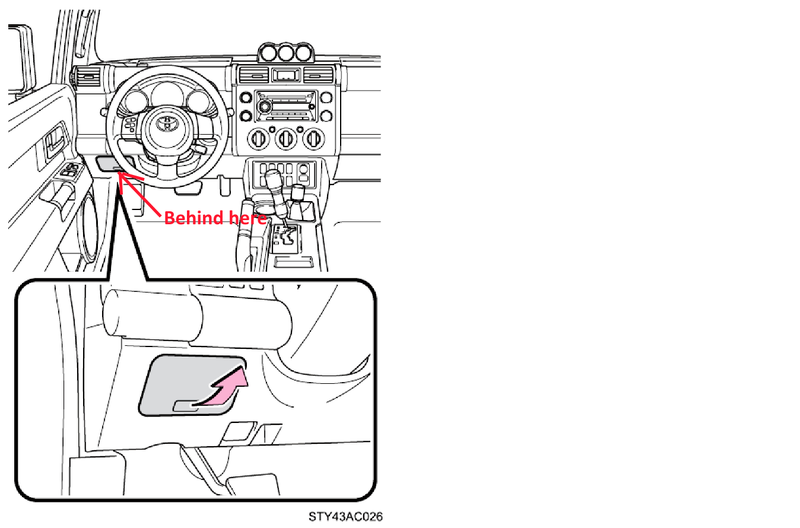 2010 Toyota Corolla.Look at lower left corner of the dash board,next to the fuel meter.You see letter PUSH ODO/TRIP.A tiny long rod is also a dimmer switch.Turn that rod to adjust brightness of the dash light.You do not have dash light.All you need are turn that rod if Avery thing are all right..Good luck! 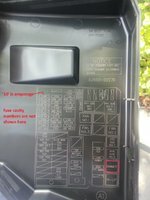 Recently the front speakers on my 2010 Corolla stopped working both at once. I was wondering what could be the issue. The rear/back ones work fine. Start a new Toyota Corolla question. CarGurus has 50,205 nationwide Corolla listings starting at $794.